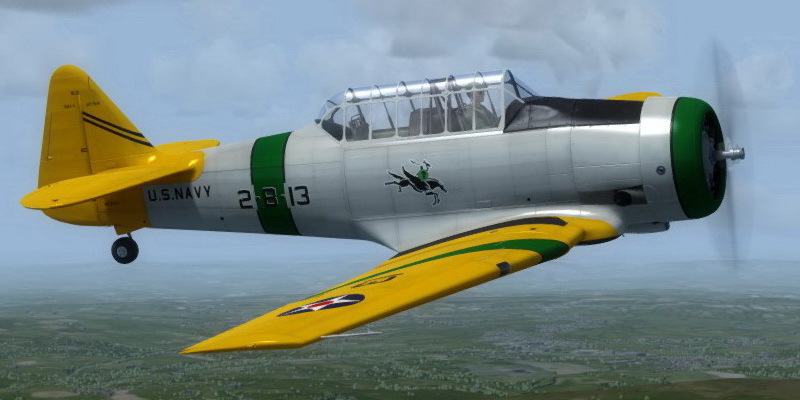 Description: This folder contains a repaint for the A2A North American T-6 Texan/Harvard in the colors of N7077C. It was originally built in 1939 (c/n 88-13376) as a SNJ-4 and served with the Navy as BuNo 27760 until 1957, when it was first registered as N7077C. It is painted in a prewar Navy scheme, and has been based in California ever since. Repaint by Jan Kees Blom, based on the paintkit by A2A.